Often times we see someone and we assume we know their story. We are quick to pass judgement and condemn them. We see a lady at the grocery store paying for her food with food stamps, yet she carries an expensive purse. We see a man struggling to pay his bills but see a brand new pair of name brand tennis shoes on his feet. We see a family whose children are wearing worn and tattered clothes yet they are eating a meal at a restaurant. A lady who worked hard and saved just a dollar a week until she could afford a cheap knock-off purse. A man whose relative gave him a gift card for his birthday and he used it to by a pair of shoes on the clearance rack. A family who is struggling and hurting in their finances and received a card of encouragement that included a gift card to a restaurant. the one who is able to save and destroy. But you—who are you to judge your neighbor? We do not always know the true story behind the faces we see. It may be a stranger at the store, the neighbor down the road, or the family in the pew in front of you at church on Sunday. Instead of jumping to a conclusion we have no right to make, we should show love. When we see that woman using food stamps, we should say a prayer that God would help her in her situation. When we see that family wearing worn and tattered clothes, we should pray that God would provide for them. 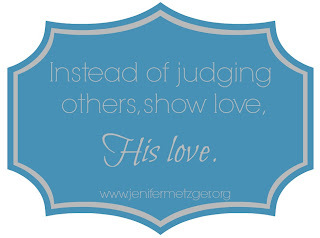 Instead of judging, let's show love. His love. Google Friend Connect is shutting down on July 1st. In case you were not familiar with Google Friend Connect, it was an RSS feed to get all of your favorite blogs listed in one place. With GFC closing, a new great way to follow your favorite blogs is Bloglovin`. Just clickHERE to create an account. 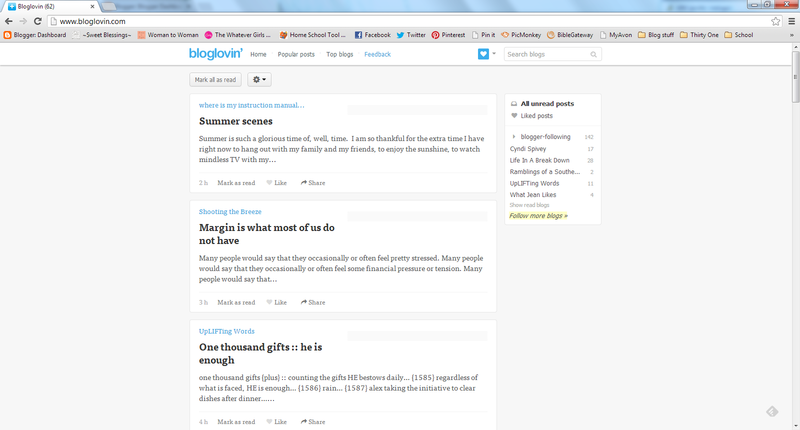 Bloglovin' is great, it even tells you which articles you have already read and which are unread. 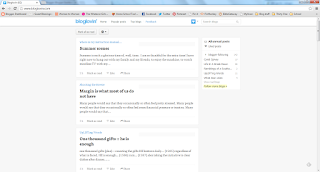 A big bonus, Bloglovin` will transfer all of your GFC blogs to Bloglovin' at the press of a button! Just click HERE, then click the button that says import from Google reader. That simple! Now all of the blogs you follow will be in your Bloglovin' account. Oh how you know I love this...befriending the homeless I have seen this many, many times. This is what spurred me to write the book I'm working on...to give the homeless a voice and maybe change the perspective of others who judge too quickly. Thank you for writing this! Your work with the homeless truly inspires me Kris. God bless you my friend! A wonderful reminder. Lovely post! Thank you for stopping by Jennifer. God bless. I have been working on this with my children. Even though there are people who are different and maybe they are doing things that we know aren't right, we are still to love them. So, even if those people were doing wrong, and it wasn't a "special" situation, we are still to show love. My children are having a hard time with some of it..."How can I show love when that person is so wrong?" "What did Jesus do?" I ask them. He sat with sinners, he ate with the tax collectors...He showed them love...and after He loved on them, many of them changed... Trying so hard to get this concept across to my kiddos! Thanks for a great post that hits home! Hillary, yes! We must teach our children to love and not judge! Thanks for stopping by. 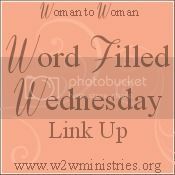 Thank you for this exhortation today! 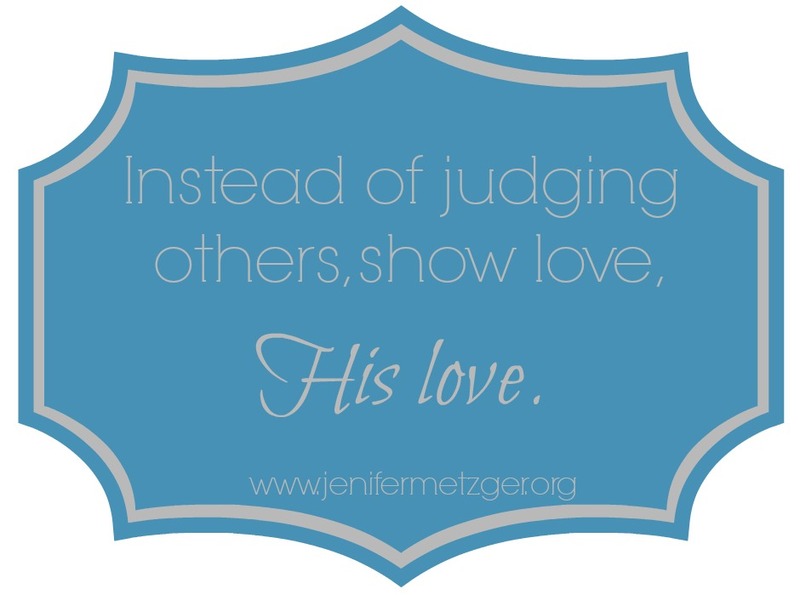 It is a much needed reminder to love others with the love we have been shown in Christ Jesus. Love the James passage...just finished leading a group of ladies through Beth Moore's "James: Mercy Triumphs" a few months ago. We all need this reminder from time to time. Isn't the book of James wonderful!? Thanks for stopping by! This is good, especially how you tell the story behind the judgment. So powerful! Thank you. We just never know, do we? Thanks for stopping by! Amy, that is a wonderful thing to do, to look into their eyes and see their value. God bless you. Thanks for stopping by! Beautiful reminder to continually seek to see others through the eyes of Christ. Thank you sweet friend. Thanks for stopping by!